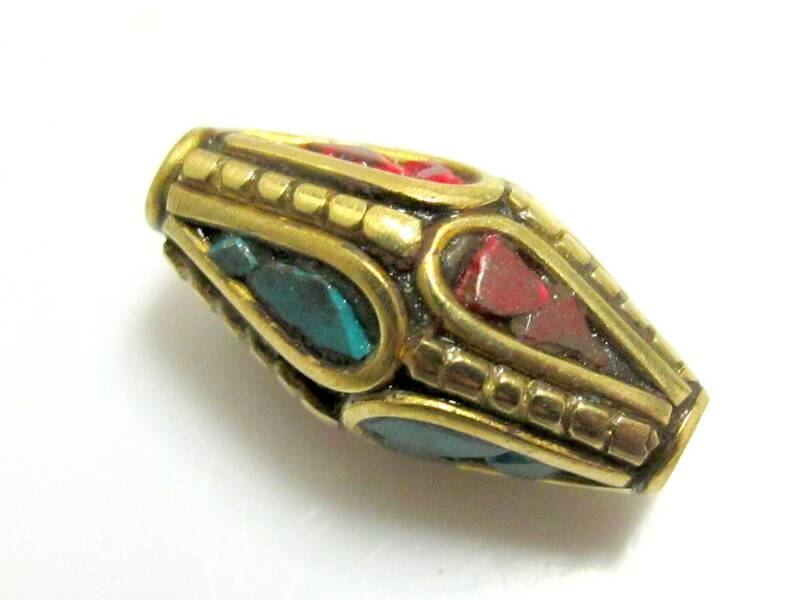 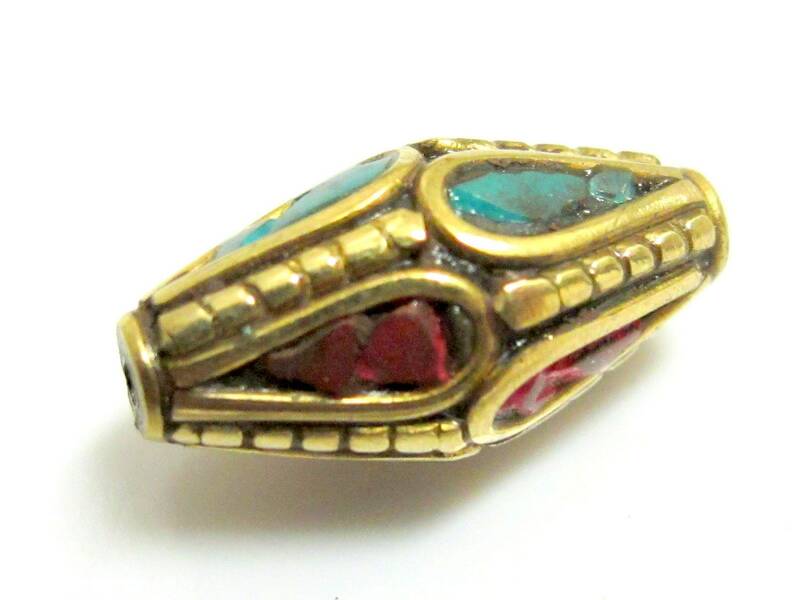 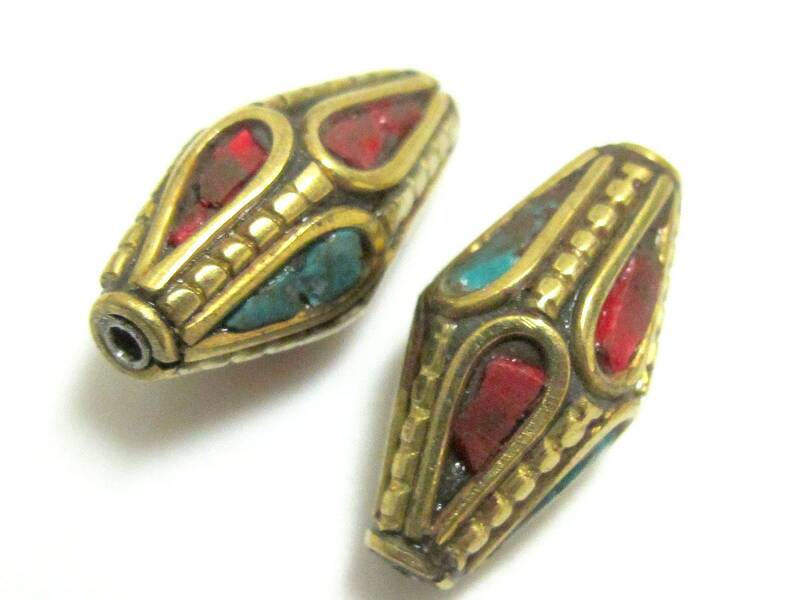 Pair of nepalese brass beads inlaid with turquoise and coral. 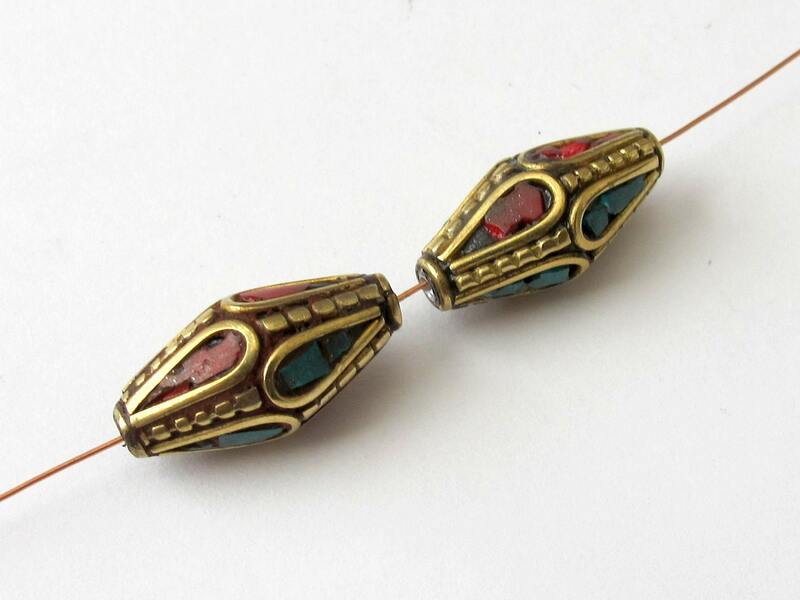 Quantity - 2 beads . 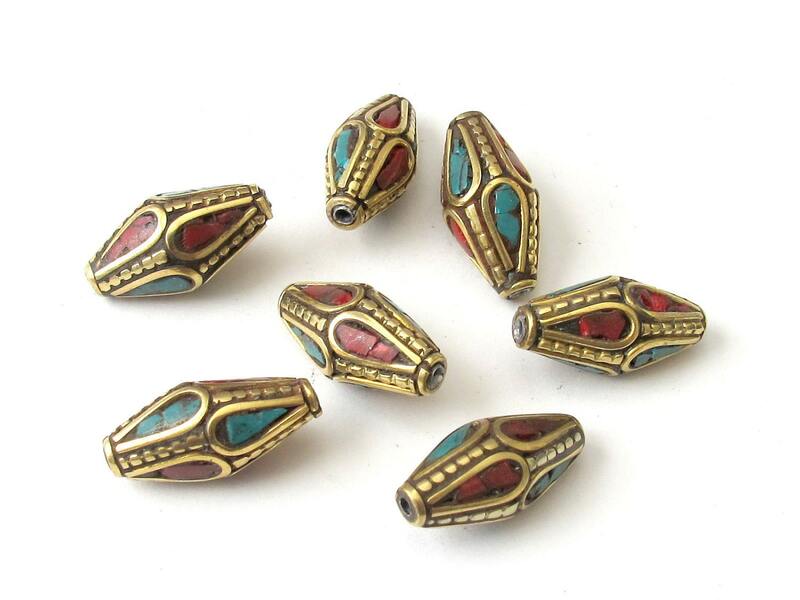 You will get 2 beads from the lot.